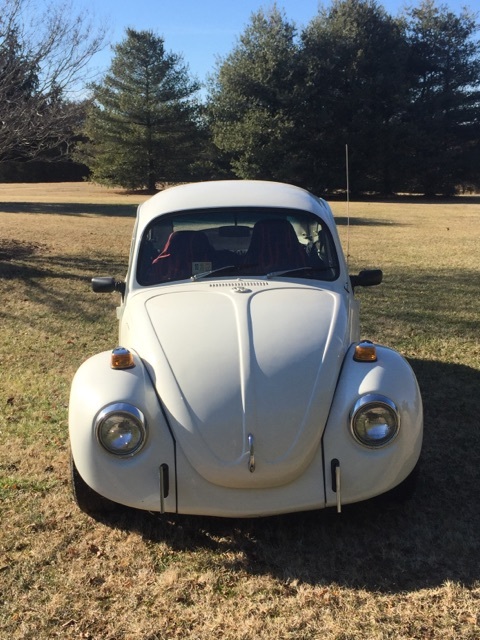 Erbie's story begins in Gainsville, VA, where we stumbled across a beat up Volkswagen Beetle. The overwhelming feelings of nostalgia, which arose from discovering this beauty, brought me back to a memory I keep very close to my heart. Many years ago as a child, a buddy of mine and I would ride in the back of my mother’s Beetle facing the rear window, while Momma would drive us to town for a trip to the grocery store. This recollection of memories as well as the charm of the beat-up Beetle left me with no choice but to take in the stray and recreate her story as Erbie. Originally, this car seemed to have no hope, but with lots of hard work, imagination, and the help of many, we successfully restored and recreated Erbie, the Volkswagen Beetle. With a special thanks to Chris for helping find the parts and the motor, Justin and George for the paint work, Mike for the body work, Allen for the hardware assembly, Francis for the mechanical work, and Steve for getting in the way. With the help of our crew, we restored Erbie back to perfect condition and found her a forever home.